Digital media has now taken over the realm of marketing, learning and pretty much everything we depend our lives upon. Digital media has now taken over the realm of marketing, learning and pretty much everything we depend our lives upon. Animated videos were used for the sake of entertainment in the film and TV industry but now its scope has extended to a far broader extent than one could have even comprehended. Now video animation is a powerful medium to convey your message, thoughts, ideas and even material that is used solely for online learning. The use of animation for eLearning can be done in numerous ways. We have compiled some great ways and alternatives to using animation in online learning. Introductory videos are aplenty and you would have surely seen some on numerous learning or video sharing platforms such as YouTube and Vimeo. However, the use of animation can be smartly utilized for creating an introduction or preview of the topic of your eLearning lesson. The use of animation in this domain is encouraged since animations easily tend to carry memorable elements. You can be clear and straightforward with your message and at the same time, keep your viewer’s attention intrigued to the video’s content or message. However, make sure the visuals, design and the overall tone of the introduction do not overpower the core message of your video. Without a compelling story or message, the viewer would not prefer to continue watching a certain video. Since a good story possesses the potential to enliven emotion in the viewers, it is important to make the most out of it. With the smart use of storytelling, you can extend the message in your eLearning content to the right audience at the right moment. Using animation is always a good idea for eLearning and its use is not limited to a specific age group or demographic. The video can be for university students or a kindergarten student since animated content is appreciated by people no matter their age and learning abilities. 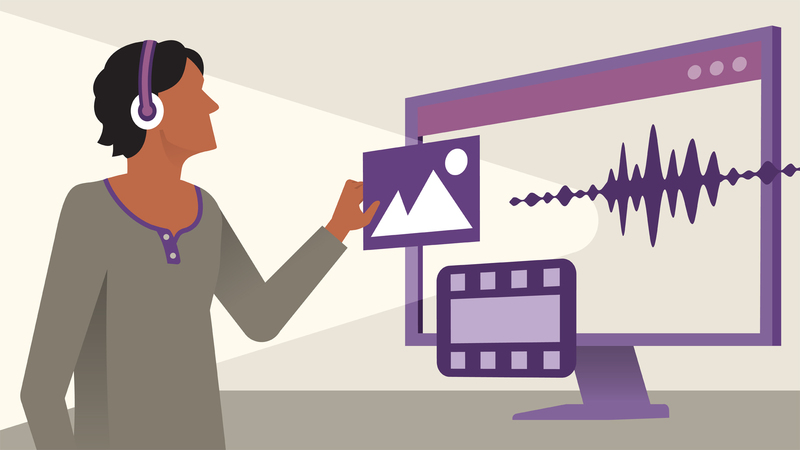 Adding animations to eLearning content can become a hassle if you have not formed a strong focus on the story, message and the characters used in the video. If you fall short in the video production then you might not have time to fix the mistakes later. Therefore, it is essential to plan beforehand and once you know what the core center of attention in the topic of your video is, only then proceed to make the video and its visuals. Try not to bloat the video with unrelated details or characters just for the sake of making it appealing or unique. Simplicity works the best, therefore, avoid any aspect that proves to be a hindrance in sustaining the quality of the video. Another core reason to use animation is that it simplifies complex ideas. Since eLearning videos or content should be easy to convey and perceive, you can use it to extend the information that cannot be contained in text or images. Animation forms are several and you must have seen the various applications of animated explainer videos or whiteboard animations in different ways. Therefore, you simply have to choose a specific animation style and use it in your eLearning video. Since text alone would not be enough to explain the complete principle of global warming and nor an infographic would be able to contain every intricate detail related to it. Your utmost choice, in the end, is to rely on an animated video and not waste time on other resources. While the use of animations is meant for conveying or communicating a message but there is another prime use of it that some people tend to overlook. An animation can be used for keeping the learning community engaged and it does wonders if it is done the right way. Adding questions to a video is a great approach to keep the viewer interacted throughout the video. The viewer will not only easily remember the questions but he or she would even prefer to take part in the discussion with the community of learners once the lesson ends. People tend to look for cost-effective alternatives and animation is surely on such available option. If you make use of live action videos then you would have to set a separate budget for the filming equipment and the hiring of actors for the video but that is not the case with animations. The animation does not demand for more time and cost so you can stay within the budget and still acquire quality content for your eLearning video. The one main requisite is that you would need to have a good video animation software program or a tool for it.